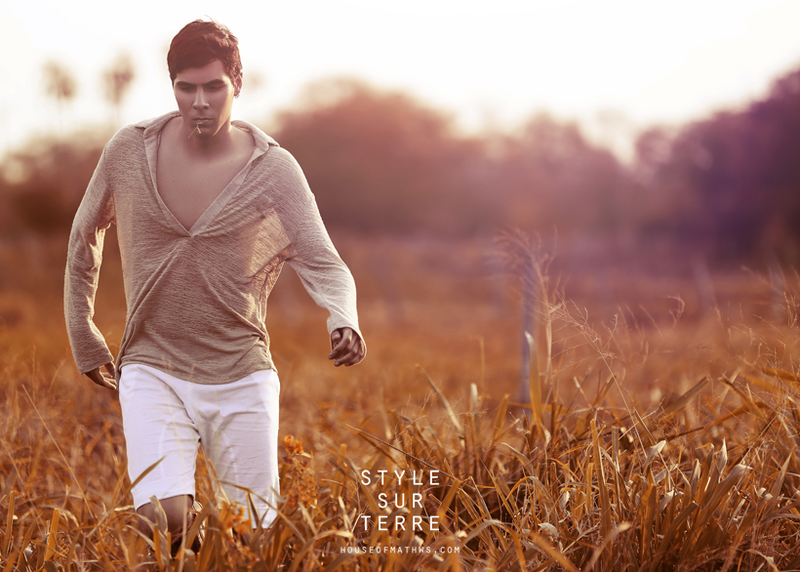 STYLE SUR TERRE 10 - 11/12 ··· Na primeira imagem; Marcílio usa look total Victor Dzenk. Na segunda; Andrezza veste casaqueto e bata Ateen, biquini Água Doce, bolsa Maison Tráfego, chapéu Prisma e botas, acervo. ··· On the first picture; Marcílio wears Victor Dzenk outfit. on the second; Andreza wears Ateen little jacket and smock, Água Doce bikini, Maison Tráfego bag, Prisma hat and boots, staff's own.